This is the west end of Grant Tower interlocking, the wye which provides the Union Pacific's former Los Angeles & Salt Lake with access to its Salt Lake City-Odgen line (former Oregon Short Line). 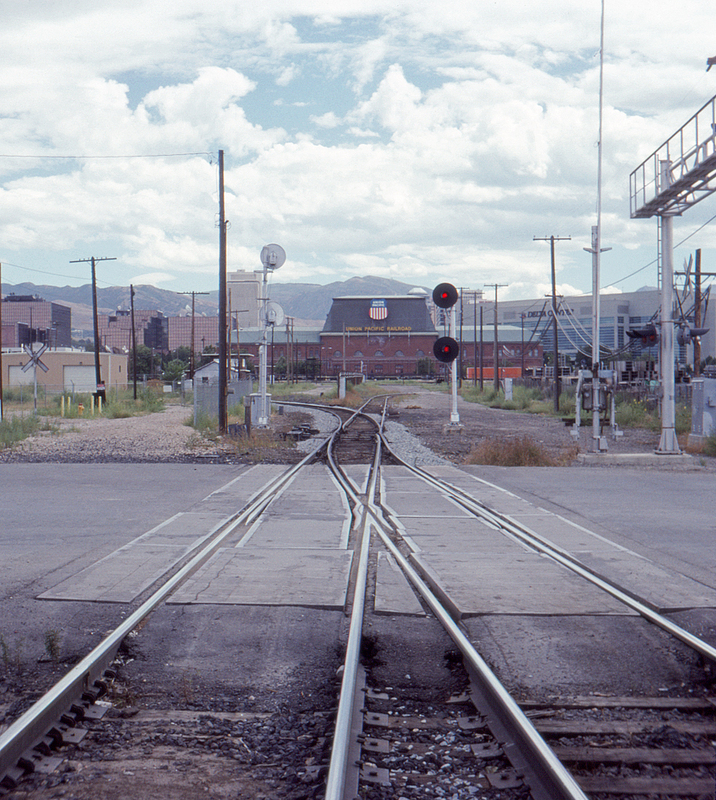 Here, looking east at the S. Temple & 600 W grade crossing, the line to the left leads north to Ogden with the line to the right heading south to Provo and Nephi (and ultimately reconnecting with the LA&SL at Lynndyl, Utah). The line coming in from the lower right connects to the former Western Pacific, also now part of Union Pacific. The back side of the station is directly ahead. As of 2018 all of this trackage had been relocated a considerable distance to the west.